Law that would have made discrimination against hareidi religious Jews illegal rejected by the Knesset on its first reading. A law that would have made discrimination against hareidi religious Jews illegal was rejected by the Knesset on its first reading. 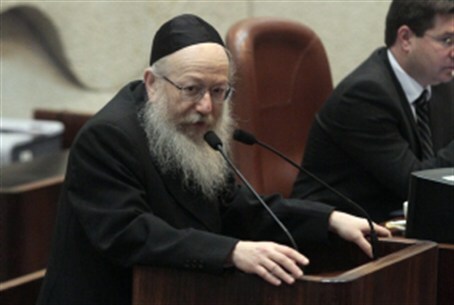 The law had been proposed by MK Yaakov Litzman (UTJ) as an update to existing laws on racism. Currently, individuals complaining that they are being treated in a racist manner must show evidence of outright racist behavior by those they are accusing. Litzman's law would have largely placed the burden of proof that an act was not racist on the shoulders of the accused. The bill would also have expanded the scope of laws on racism and discrimination to hareidi Jews. Currently, it is illegal to discriminate on the basis of gender, ethnic group, marital status, race, age, religion, political beliefs and sexual orientation. While an employer is not allowed to discriminate against Jews in hiring practices, a hareidi Jew who is not hired would have to prove racism against all Jews, not just hareidi Jews. Litzman's law would have added hareidi Jews as a separate category. The law would also have severely increased the penalties for individuals convicted of racism, imposing jail terms of up to ten years for each offense.